Akita prefecture is located in the northwest region of the mainland of Japan along the Japan Sea, which blows cold wet wind and brings snow and sleet. Magewappa making in Akita started about 400 years ago, to supplement the income of lower-class samurai though it is said that Magewappa existed as long as 1500 years ago. During long snowy winters when not many crops were cultivated, people made handmade crafts as a living, a skill passed on from generation to generation. Magewappa is made from natural Akita cedar which is around 200 years old (! ), the wood has endured in Akita's cold tough winters and hot humid summers. With the modernazation of Japan in the 20th century, the technique of Magewappa making had been lost until Yoshinobu Shibata revived it and evolved the techniques up to now. One day, he saw an old Magewappa and was impressed with its workmanship and beauty. He decided to revive this lost technique, and since then has rediscovered Magewappa making on his own. He researched the technique and improved his skill by taking apart old Magewappas and learning from different bentwood objects. 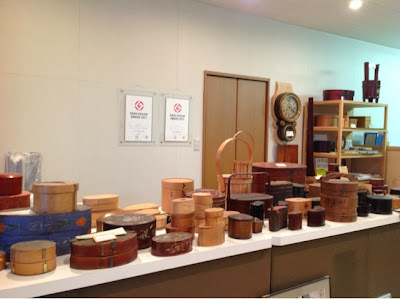 Photo 1: Yoshinobu's collection of bentwood objects that he has collected from all over the world. This is his hobby. He is in his mid 70's now and still goes to demonstrate and sell Magewappa at department stores and exhibitions all over Japan. Now the day-to-day business is taken over by his third son, Yoshimasa Shibata, and Yoshimasa has contributed to the spread of Magewappa. Because of his effort, Shibata Yoshinobu Shouten has become a very well known company in the last 5-10 years and Magewappa is now very popular item among Japanese. He has had exhibition in Paris in the last 2 years and explore new way of Magewappa products beyond borders. It seems that Yoshinobu and Yoshimasa have respect for each other, both try to evolve the potential of Magewappa, loving what they do. There are so much to tell about them, so I will write about the making process in a follow-up post. 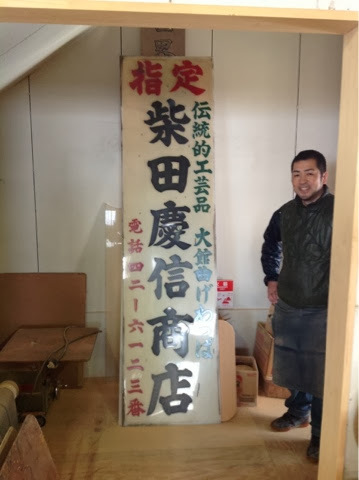 Photo 2: Yoshimasa next to the old board of their first factory.